Getting Down to Cases: How Would I Handle Conflicts? Choice Theory: What Is It? 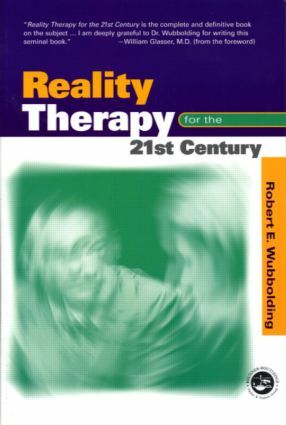 Other Systems: How Is Reality Therapy Different? History: What Are The Origins? Personality: Why and How Do People Do What They Do? More Specifics: What Other Ideas Do I Need to Know? Treatment: Is It Used Individually, in Groups, or in Family Therapy? The Procedures: What Are the Interventions I Need to Use? Style, Language, Communication, and User Qualities: What Do I Need to Do and Have in Order to Use Reality Therapy? Multicultural Dimensions of Reality Therapy: Can Reality Therapy Be Used Cross-Culturally? Research Studies: How Do I Know It Works?